Our syrup for hot spiced wine is composed of spices which are typically for the Christmas season and which are necessary to produce an aromatic hot spiced wine. With the help of our syrup, wine can be turned into a high quality hot spiced wine in no time. 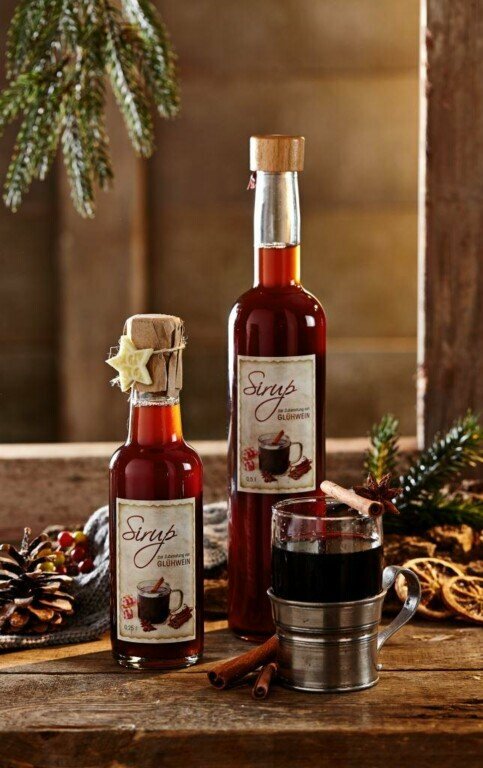 In the Christmas season our syrup for hot spiced wine sells excellently well as a by product to your own wine. For the end user we recommend our bottles in the two different sizes 0,25 and 0,5 litres. For mixing it with your own wine in higher quantities our syrup for hot spiced wine can also be ordered in containers of ten litres. Our shrub! is a syrup which combines only the three components: fruits, organic apple cider vinegar and sugar. Shrub! can be used for drinks – that means as an aperitif with sparkling wine or sparkling water – as well as for the refining of salad dressings, gravies and desserts. 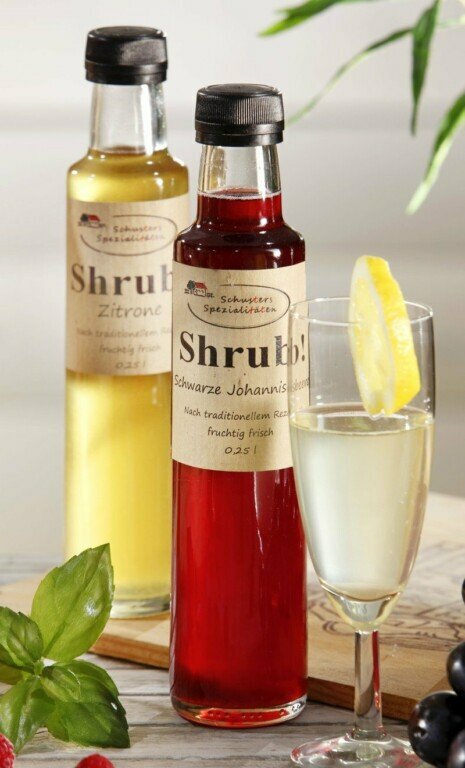 As a syrup of high quality shrub is an ideal replenishment for you delicacies shelf in your wine shop.